Office politics are the strategies people use to position themselves relevantly in readiness of opportunities that may arise within the organization to ensure they score them. Whether you love it, hate it, admire it, practice it or avoid it like plague, office politics is a lifeline in any organization. Every organization has its own share of office politics in different measures. Thus it’s something worth understanding as you cushion yourself for success within the organization. We all want to master the art of office politics managements. In line with this, K24 Alfajiri invited Mr. Perminus Wainaina, Head of Recruitment and Managing Partner at Corporate Staffing Services to be part of a panel discussion on Office Politics. The panel explored the various dynamics that make up office politics and their pros and cons. 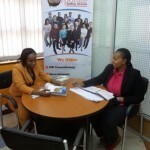 They also advised employees and managers on how they can tap into such dynamics. “Office politics interactions allow staff to interact and get to understand each other more outside their work. It’s also an avenue where managers get to interact with staff and get to pick their brains on different issues facing the organization at informal engagements”, says Perminus. Through the discussions, it was clear that office politics offer staff with social ventilation channels for them to share their issues and get guidance as well as a feedback mechanism for the organization. Mr. Perminus emphasized the importance of understanding office dynamics when one is new in an organization. “Get to know who to consult for what and whose feathers not to ruffle, 10% of your career success depends on one understanding their colleagues and organization policies and systems”, he added. In response to a question on how to get past negative office politics, Mr. Perminus said, “If the workplace environment is not inspiring or right, there is no need to drag yourself every morning to the workplace, just hang your boots”. In conclusion, the panelists urged all employees to understand and manage the office politics for the good of individual growth as well as for the growth of the organization. Trying to understand office politics? Are you in need of career advice in regards to office dynamics? You can find your answers by watching the panel discussion here. Sometimes management of office politics becomes unbearable if there is someone who seeks out time to go discuss other employees informally to the management.If the management is bent on management by back biting then those who do not endear themselves are in great trouble.The person telling on others may not be of the same department but is just nosy.He/she knows they cannot get the job but want you out of the way by feeding the management with a lot of negatives.otherwise it is agreeable every organization has politics,some so deep,some shallow. Charles, That is very true that every organization has its own share of office politics, but learning to stay afloat is key. Best of luck maneuvering through it all. Stay focused on that which is important.